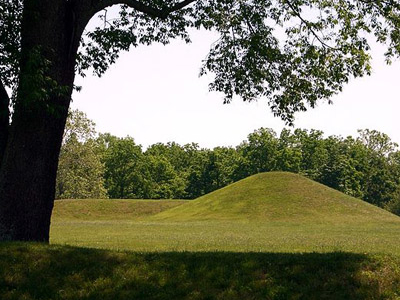 Hopewell Culture National Historical Park, formerly known as Mound City Group National Monument, is a United States national historical park with earthworks and burial mounds from the Hopewell culture, indigenous peoples who flourished from about 200 BC to AD 500. The park is composed of five separate sites in Ross County, Ohio. The park includes archaeological resources of the Hopewell culture. It is administered by the United States Department of the Interior's National Park Service. The Visitor Center is open extended hours from 8:30 a.m. to 6:00 p.m. Ohio is in the Eastern Time Zone. Here's the our members favorite photos of "National Parks in Ohio". Upload your photo of Hopewell Culture National Historical Park!